Vaca Frita de Pollo is a fried shredded chicken dish that’s popular in Cuban restaurants all over Miami. 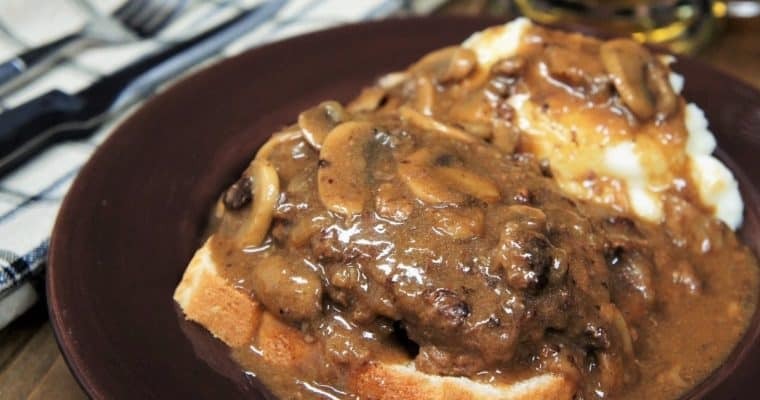 The literal translation is chicken fried steak, but that’s not this dish. 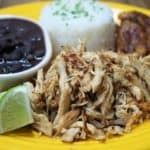 Vaca frita de pollo is cooked, shredded chicken that’s flavored with a delicious homemade mojo marinade and skillet-fried until browned and crispy on the outside. 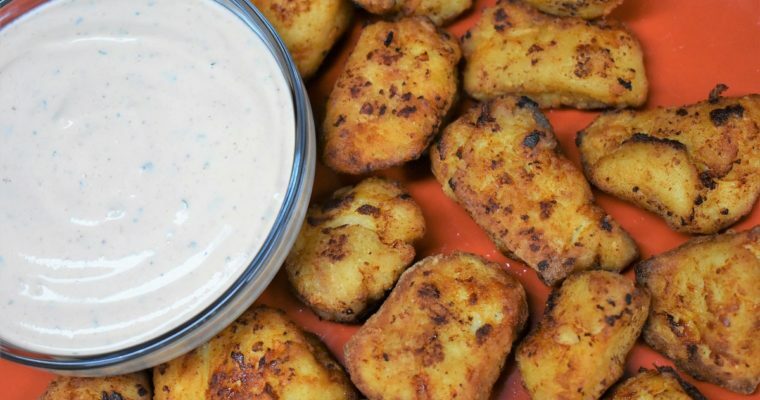 It’s really easy to make and quite tasty. There’s a beef version of this dish too called vaca frita, and it’s just as amazing. Enjoy! If you’re making the sour orange juice: combine ¼ cup of orange juice (fresh squeezed is best) and ¼ cup lime juice in a jar or bowl. Stir or shake the juice to combine well. Set aside until ready to use. Add the garlic, sour orange juice, ½ tsp. salt, dried oregano, cumin and black pepper to a jar or bowl. Stir or shake well to combine. Refrigerate the marinade for at least 30 minutes. Shake or stir well before using. Place the chicken in a medium saucepan, large enough so that they fit side by side without overlapping. Cover the chicken with chicken broth (about 2 cups). Add ½ tsp. of salt. Start the chicken on high heat; bring the broth to a boil. As soon as it starts boiling, lower the heat to medium-low and cover. Simmer the chicken gently for 20-25 minutes. Make sure the internal temperature of the thickest part of the chicken breast is at least 165°F. Remove the chicken breast from poaching liquid and set on a cutting board to cool. When the chicken has cooled enough to handle, shred using your hands or two forks. Add the shredded chicken, sliced onions, ½ tsp. salt and the prepared mojo marinade to a large bowl; stir or toss well to combine. Let the chicken and mojo sit for 15-20 minutes so it absorbs all the delicious juice, toss occasionally. Heat the canola oil in a large, non-stick skillet over medium-high heat. When the oil is hot, add the shredded chicken and arrange it into 1 layer. Cook the chicken for 5-6 minutes, do not stir. Let the liquid cook out and let the bottom become browned and crispy. Using a large spatula, get under a section of the chicken and flip (don’t stir). Pick another section and flip, repeat until all of the chicken is browned side up. Cook for another 1-3 minutes. Keep in mind that this side will brown a lot faster since the liquid has cooked out already. Keep your eye on it, check a section after 1 minute to make sure it’s not burning. Flip over any sections that need to brown a little more. Keep checking and flipping until the chicken is golden and crispy on the outer layer. 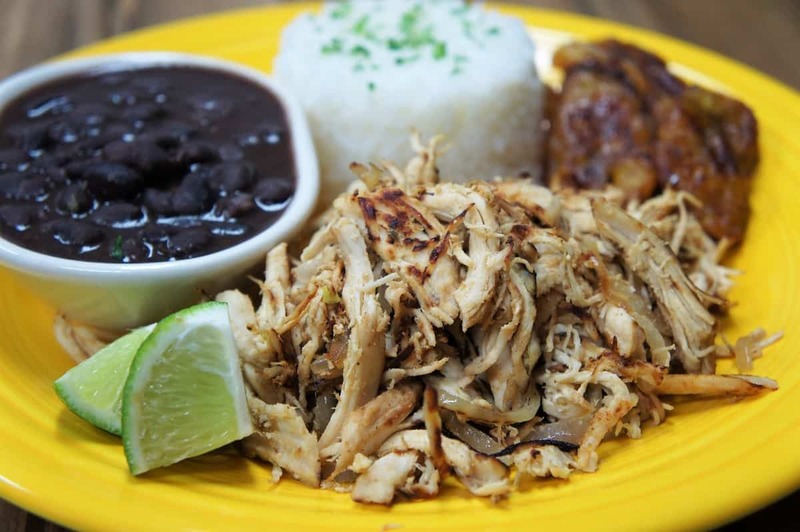 White rice, black beans and mashed potatoes are all great sides to serve with the vaca frita de pollo. Enjoy! To give the beans a Cuban flair: Add one or two cans of black beans to a saucepan – do not drain. Add a sprinkle of garlic powder, onion powder, a pinch of dried oregano and cumin. Then add a heaping tablespoon of olive oil and a teaspoon of red wine vinegar (two of each if using two cans). Give the beans a good stir and simmer for 10-15 minutes, stirring occasionally. A note about sour oranges: Sour oranges are used in chicken and pork marinades, and in many mojo recipes. During the latter part of the year, near the Christmas season, many Latin markets will stock sour oranges. If you can find sour oranges, slice in half and juice. If you can’t get sour oranges, because they’re not available in your area, or it’s not season, try combining orange juice and lime juice (fresh squeezed is best) at a 2:1 ration. The amount depends on the recipe. The last alternative is bottled sour orange juice, which is not really made with sour oranges (more like grapefruit juice and other citrus); however, it will still get that sour and sweet taste we’re looking for. Vaca Frita de Pollo is a fried shredded chicken dish that’s popular in Cuban restaurants all over Miami. Place the chicken in a medium saucepan, large enough so that they fit side by side without overlapping. Cover the chicken with chicken broth (about 2 cups). Add ½ tsp. of salt. Start the chicken on high heat; bring the broth to a boil. Lower the heat to medium-low and cover. Simmer the chicken gently for 20-25 minutes. Make sure the internal temperature of the thickest part of the chicken breast is at least 165°F. Remove the chicken breast from poaching liquid and set on a cutting board to cool. Cook for another 1-3 minutes. Keep in mind that this side will brown a lot faster since the liquid has cooked out already. Check a section after 1 minute to make sure it’s not burning. Flip over any sections that need to brown a little more. Keep checking and flipping until the chicken is golden and crispy on the outer layer.